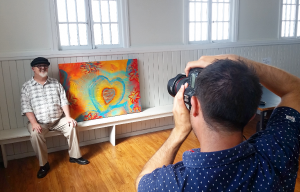 I have been entering my paintings into the Art From The Margins (AFTM) annual exhibitions since 2010, after encouragement from long time friend and Sunshine Coast artist, Ross Barber, who was then AFTM’s Community Development Coordinator for Art Projects. 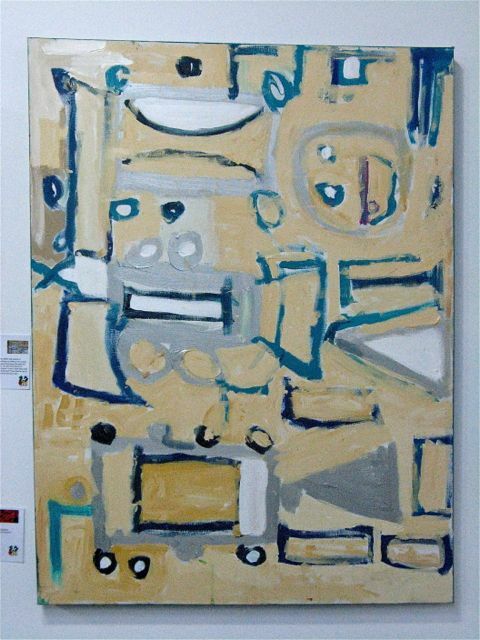 I subsequently received an award for my entry – a series of three large paintings entitled Doorway Series 1-2-3, which were purchased by AFTM for their permanent collection. Since then Art From The Margins has continued to be strongly supportive of me and my art. 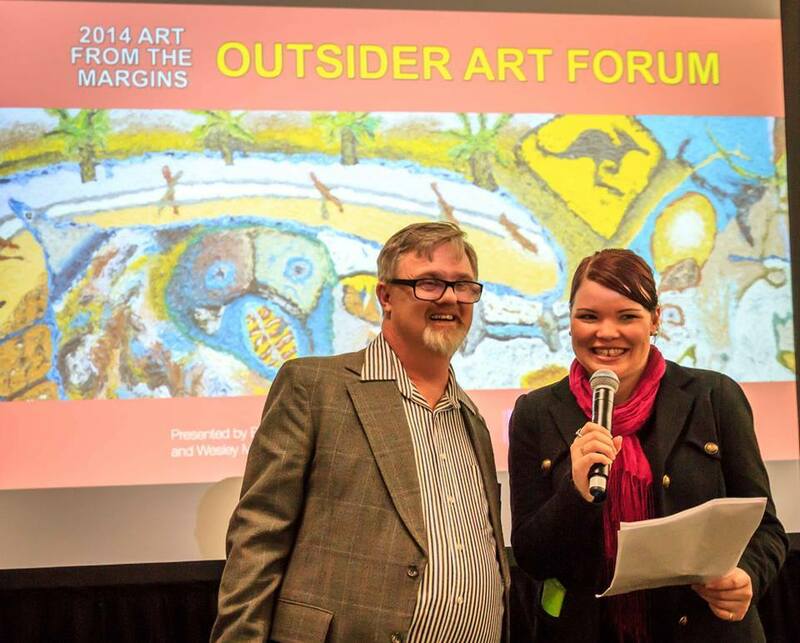 In March 2011 the new AFTM Coordinator, Anthony Anderton, helped organise an exhibition of my art along with my Josh the Robot book launch at Avid Reader Bookshop in West End, Brisbane. I was also chosen by AFTM to be a featured artist at the Brisbane Square Library from May to July 2012 while AFTM’s permanent collection was on display. During the exhibition my Josh books featured in a couple of the library’s Saturday morning children’s book readings. The Art From The Margins exhibitions are an annual, free event, as part of the Brisbane Festival. 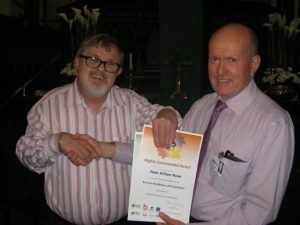 At the 2012 AFTM exhibition, I felt blessed to again receive recognition for both my paintings. 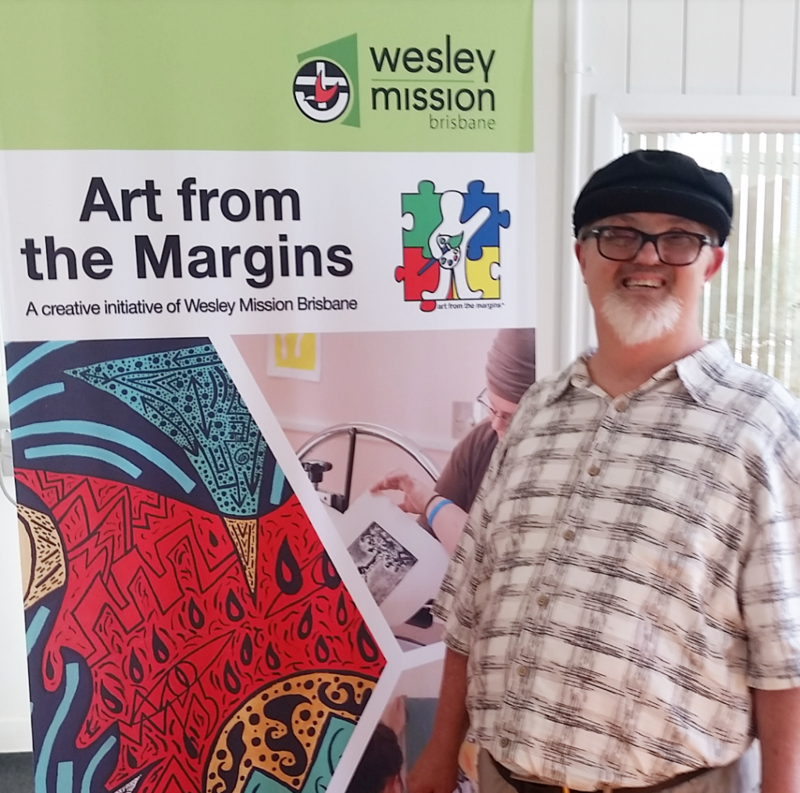 Art from the Margins has meant the world to me with the assistance and support they have given to me ever since I first met up with them, I wouldn’t be anywhere near where I am now without their help and encouragement. I want to thank them very sincerely for everything they have done for me. The awards and prizes I have received have been of immense value to me and their purchasing my painting was the proudest moment of my life. Thank you all and God Bless you for the work you do.